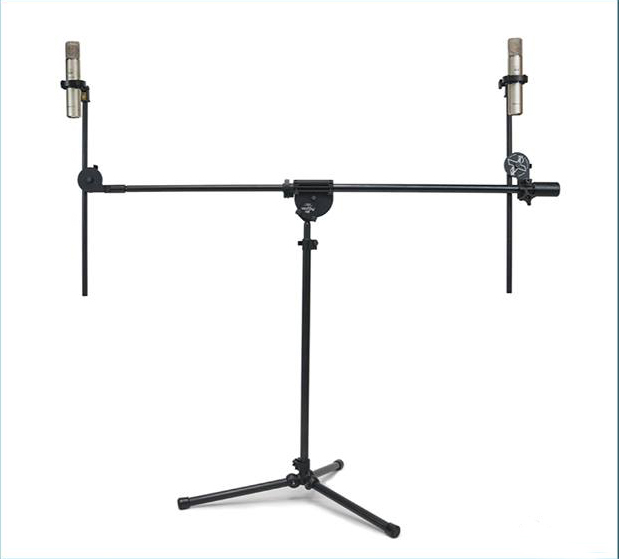 The Latch Lake micKing 1100 is a heavy-duty microphone stand for recording studio and stage applications. 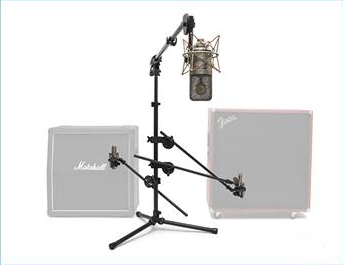 The smaller in the micKing range it is nonetheless big enough to be a drum overhead but also small enough to be a main vocal mic stand on stage or in a home studio without taking up too much space. The Latch Lake micKing 1100 features the same heat-treated black steel finish, the quick release Lever Locks, as well as Latch Lake's (world's strongest) Boom Clutch. Unlike its bigger siblings, the micKing 1100 uses a tripod base with solid-steel bars designed to give it a low centre of gravity and amazing stability on a small footprint. The perfect match for even the heaviest mics. The micKing 1100 is also very easy packed down into a small box that is just over a metre long. The base is so tough you can stand on the tripod legs. It comes with a five year manufacturer's warranty. If you have any extremely heavy mics, you can get an optional extra 4lb counterweight on top of the 2lb one that comes as standard. If you care about mic placement then this is the mic mount that will allow you to easily get the mic where you want it and then lock it there. 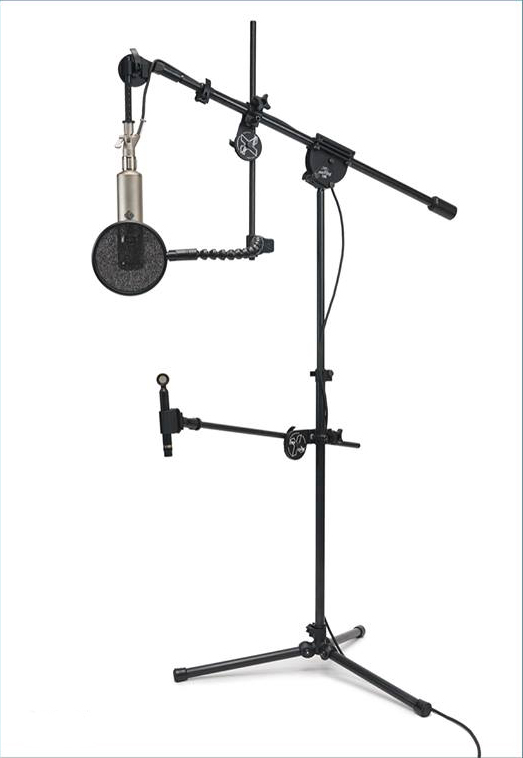 SpinGrip Mic Mount offers a positionable range of 295 degrees with 3" disk brakes designed to lock the heaviest of microphones making it easier to precisely place your microphone. 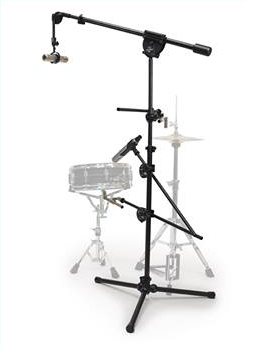 Latch Lake's Xtra Booms are the ideal solution for positioning several microphones on one stand, for mic arrays and difficult mic placement like the top and bottom of a snare drum.